TokyoMilk by Margot Elena is a curious brand of fragrances that span perfumes, skin care items, and candles. 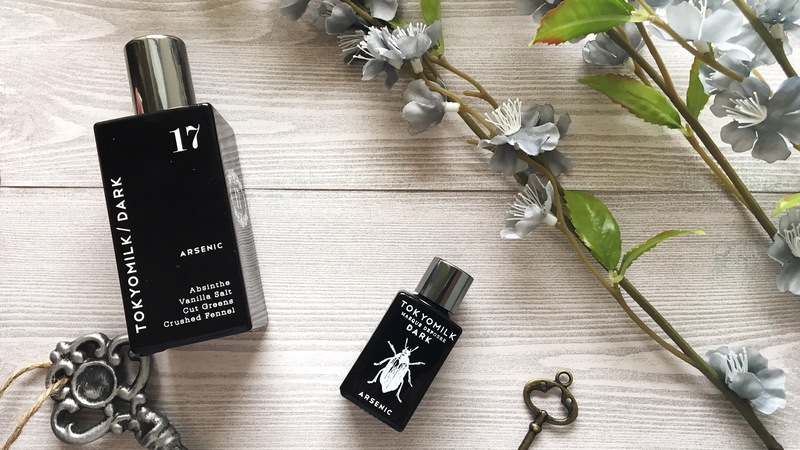 This brand isn’t afraid of being edgy and combining scents that you would never imagine of putting together in a perfume. The bottles will draw you in, the names will pique your interest and the scents will sell you without the need of some designer brand or celebrity endorsement. They have three distinct lines which include their regular scents, a dark line, and a brand new light line. I discovered TokyoMilk while on a trip a few years back to the mountains of North Carolina. I stopped in this little shop and spotted some interesting perfumes. At first I was intrigued by the names but I fell in love with the scents, taking home one called Gin and Rosewater. After about a year I started looking into the brand and found out about an entire dark line of perfume. I was sold without even testing them out. These perfumes are also made in the USA which is a plus for anyone that prefers to buy local. The first thing I loved about TokyoMilk Dark was the bottles. They are solid black with white detailing that clearly lists what scents you can expect from each bottle. The artwork on each bottle reflects the name and is a simple image. That doesn’t mean that they are plain, in fact their look is what really made me want to try them. There are currently eight different scents, two of them being brand new. You can also grab handcremes, roller balls, candles, and lip products. This review is going to cover the six scents available in the Discovery Set. In the top image you can see the size difference between a full size bottle and the miniature ones that come in the set. My overall impression of the TokyoMilk Dark line is range of dark and sensual perfumes that last long without being overpowering. Closing your eyes and opening a bottle can transport you to another time. They are going to be instant classics for your inner femme fatale. Click next for an in depth look at each of the six fragrances found in theFragrance Wardrobe Discover Set.